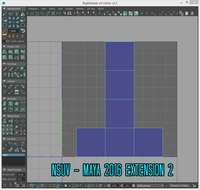 As a script TD, rigger, or anybody who need to open the Maya's Script Editor, aren't you tired to scroll through tons of grey lines like these one below ? What about color syntaxing all this stuff ? 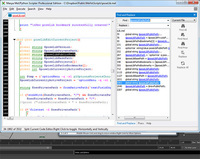 Here is a tutorial to set a PyQt class in order to override the color syntax of Maya's Script editor reporter. The tutorial has been originally wrote for 3dbunk.com, feel free, to check the other tutorial we released :-) ! 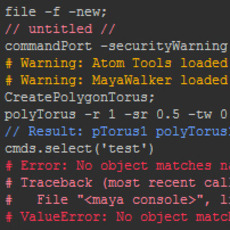 This tutorial will be a nice occasion to have a look to PyQt in a very light way, and how we can associate its strength with Maya, our aim is the following ; the Command History of Maya is a bit sickly and pale so we're going to add some colors to make it more readable. We'll first try to identify the scriptEditor's window, then we'll manage to get the correct QTextEdit child object, finally we'll assigne a QSyntaxHighlighter to it. 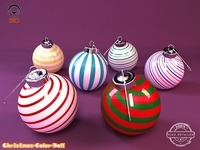 Regular expressions basic knowledge may be useful to create your own coloring, let's start ! Tips ; These two websites are great help if you want to learn more about regular expressions ! We now have the name of our scriptEditor window and especially the corresponding object. Our second task will be to iterate inside its numerous children to find the QTextEdit of the History. The method is quite the same as above, except we need to do this recursively in all children and children's children to find all the QTextEdit instances to get the correct object's name. We spare you the pain of the search, so the name QTextEdit we're looking for is named cmdScrollFieldReporter1, take note that this widget have a unique name, and that a number is automatically added at the end. This means we could meet cmdScrollFieldReporter4.